If you have been following my blog, you would have noticed that I have been really impressed with Paul George Global School’s infrastructure and teaching style. In this post, I will take you through the vision, mission, and the philosophy of the school. To nurture young minds, to focus on their holistic development and to develop their moral, ethical, human and spiritual values so that each child may develop Character and Confidence with a deep-rooted passion geared towards the pursuit of excellence. Paul George Global School (PGGS) seeks to create a challenging yet conducive learning environment that inspires excellence and encourages high performance through engagement of varied instructions that allows for individual differences and learning styles. PGGS promotes a safe, caring, and supportive environment where every person- child, teacher or parent can learn from and respect one another. 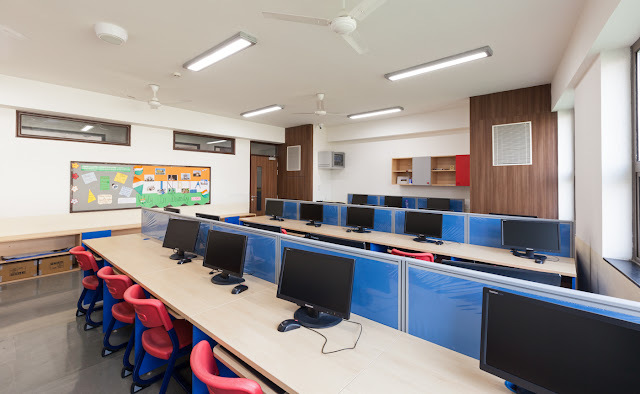 They have also designed the use of innovative techniques to enhance life-long learning through technology, multiple intelligence, varied instructional strategies and interdisciplinary connects. They promote Sportsmanship and school spirit and they share their diverse cultural backgrounds to nurture growth and responsibility while at the same time celebrating diversity within a positive school atmosphere. 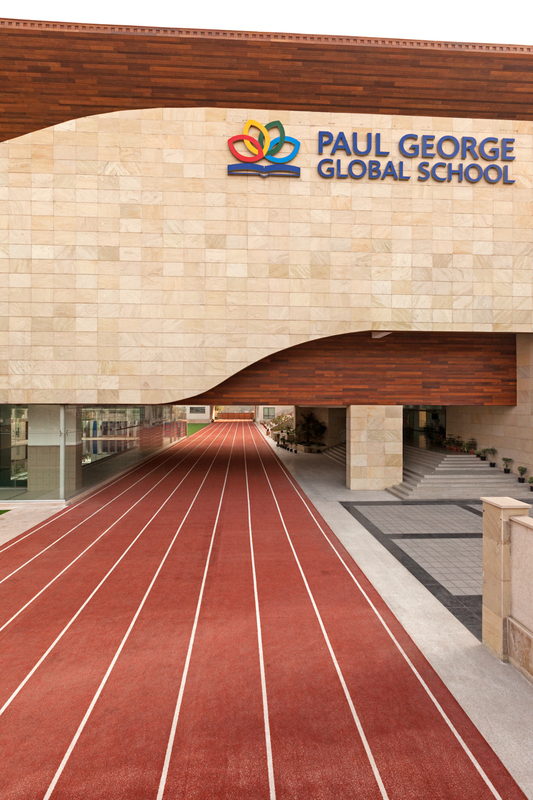 Paul George Global School is a unique amalgamation of traditional values and contemporary pedagogy. The school lays immense emphasis on nurturing core values of Courage, Compassion, Equality and Integrity in all its students. The school would facilitate its students to learn and imbibe along with their subjects of study, discipline, ethics, tradition, and culture. The school hopes to encourage students to become socially committed citizens. In fact, the school epitomises these four core values that were synonyms with Late Shri Paul M George. The institution believes in holistic education for your child, encompassing – academics, co-curricular activities, sports education, and life-skills learning. They endeavour to strike a balance between state-of-the-art infrastructure and an internationally acceptable education. At Paul George Global School, they impart education to rear a breed of young minds that are bursting with self-confidence, motivation and are ever ready to take up challenges. The campus, sports and academic facilities all bear testimony to this effort. To promote an international education, their key focus has been on faculty development – providing continuous teacher training in order to deliver real value education and excellence in academics. Teachers are trained not only to teach well but are also expected to inspire confidence and trust in their students and become role models. Further, the school inculcates in the students a respect for tradition and ensures discipline and good manners. Paul George Global School encourages students to learn about themselves and their constantly changing environment, while at the same time offering support and guidance as they practice decision-making and social skills. This school is indeed the best place for your child. The school maintains an ideal student- teacher ratio that they achieve through dedicated and handpicked teachers. The teachers I met were motivated by love for children and passion for teaching. I saw that children were encouraged to nurture their passion and learn from their own experiences. I also witnessed many interactive sessions that used modern technology like smart boards, smart pens and audio aids for the 21st century learner. The school certainly has certain admission criteria. That you can see in the table below. My own experience with the school, seeing the infrastructure, meeting the Principal, staff and the students left me totally impressed. But I would really like my readers to go and visit the school themselves and understand in depth what I am talking about. Call them on their Toll-Free Number- 1800 212 3340. You can also sign up for a School tour.